Neu Lash Reviews | Does Neu Lash Work? While many people dream of longer and fuller eyelashes, the products that actually deliver this dream form a relatively small segment of the eyelash growth enhancement marketplace. To help you separate the top performers from the duds, we've consolidated the research as to user reviews and side effects so that you can make an informed decision. Neu Lash is an eyelash growth product that has been tested by ophthalmologists and dermatologists for safety; in clinical testing, Neu Lash users experienced 62 percent longer looking eyelashes after twelve weeks of regular use. Although test results were measured at twelve weeks, the manufacturer of Neu Lash claims that users can see improvements in the length, thickness, and health of lashes within four weeks. Applied in a manner similar to eyeliner at the base of the upper lash line, Neu Lash can also be used on the lower lash line, but care must be taken to avoid getting the product in the eyes. Although the Neu Lash website contains glowing testimonials and the specifics of the clinical test on 48 women between the ages of 22 and 56, independent reviews are more of a mixed bag. Some customers note that they saw a difference in the thickness and length of their lashes, but for other customers, Neu Lash failed to make any difference, even after a few months of dedicated usage. Neu Lash has an impressive-sounding ingredient list that includes bioengineered copper peptides, octapeptides, and oligopeptides, Cucurbita Pepo Seed Extract, Hydrolyzed Glycosaminoglycans, Isopropyl Cloprostenate, and Dipotassium Glycyrrhizate; in general, the Neu Lash formula is designed to add strength, shine, flexibility, and health to the eyelashes. There are more reported side effects from Neu Lash than from many other eyelash growth products; this is likely due to the presence of Cloprostenate, a prostaglandin derivative, in the Neu Lash formula. Some users complain of darkening of their eyelid skin when using Neu Lash; this is a hallmark side effect from prostaglandin ingredients, but other side effects could include eye irritation and permanent darkening of the irises. 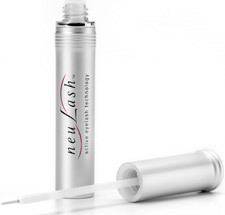 Several users also complained of itching and redness when using Neu Lash. The manufacturer's warning to keep the product out of the eyes should prevent these from occurring, but in practice, it's difficult to keep a product used on the lash line from occasionally entering the eye itself. While the manufacturer's clinical test results are impressive, Neu Lash is not without its downsides. For one thing, the presence of a prostaglandin ingredient is a definite mark against Neu Lash; it's not wise to risk the associated side effects for the chance that the lashes might appear a bit longer or thicker. Another drawback to Neu Lash is its price tag: at $150 per bottle, this product is on the upper end of the price range for eyelash growth enhancers, and there's no guarantee that Neu Lash will perform. Neu Lash is also difficult to obtain; not everyone lives near a Saks Fifth Avenue or Neiman Marcus, two of the main retail distributors for Neu Lash. 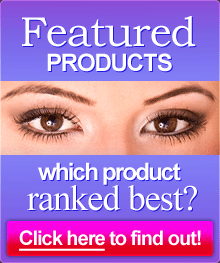 For a safer eyelash growth product without the hefty price tag, check out MarveLash instead.